New York City is massive, which is why catered tours are one of the best ways to see as much of the Big Apple as possible. With so many facets of the city to explore, the number of tours covering all different aspects of the city, from its bar scene and pizza culture to the water and beyond, there is no shortage of adventures to be had. We’ve compiled what we believe are the best small group tours in NYC—which can mean either friends or colleagues at work—and families with children of all ages. Have you been on one of these small group tours in NYC? Comment below! One word that is synonymous with New York City is pizza. With dozens of places to grab a slice of one of NYC’s longest-living legacies, Scott’s Pizza Tours bring you to the best spots, all with a focus on living the true NYC pizza experience. With tours available both on bus and on foot, many of the programs focus on specific neighborhoods. These tours for small groups dive deep into the pizza culture of the area, where you’ll be able to learn what makes that specific borough stand out from the rest. The sheer diversity of experiences to have in New York is mind-boggling, which is why high-quality helicopter tour is no surprise. When it comes to being thousands of feet in the air, Liberty Helicopters has no equal. You’ll soar over such iconic sights as the Statue of Liberty, the World Trade Center, and more on a thrilling 15-minute tour. While a little pricey, Liberty Helicopter’s “The Big Apple” tour is highly rated, chock-full of ecstatic reviews. Imagine seeing the likes of the Brooklyn skyline soaring hundreds of feet above you? Or, witnessing the grandeur of the Statue of Liberty from the water? Well, New York Harbor Tours has you covered. With small group and private tours available, you can witness the beauty, stature, and sheer size of New York City from the Hudson River on a wide selection of specially-curated tours. With a focus on sightseeing, history, and thrilling riverside fun, there’s no better water tour of NYC than New York Harbor Tours. 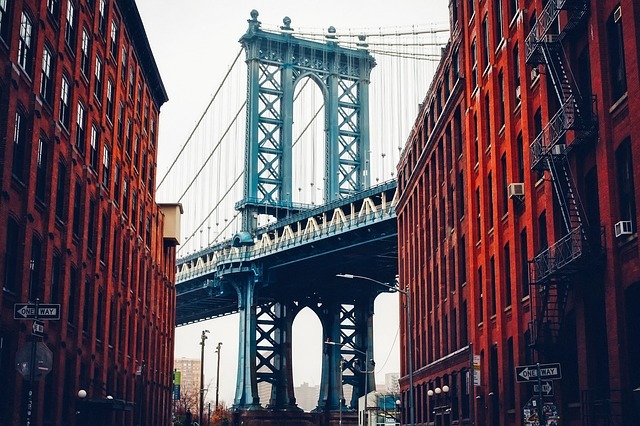 There’s so much to see in New York City, so why not take it at your own pace? This is where the notoriously immersive Hop-On Hop-Off Big Bus tours come in. With three tiers of tickets, you can choose your tour. The first level is a standard, no-exit tour that takes you to all the best of New York’s sights in two hours. The next two levels allow you to hop off at one of the route’s many stops, and pick up where you left off whenever the next bus arrives. This makes for one of the best values in terms of immersive trips. Ahhh, Central Park. The storied destination for lovers and endless walks to contemplate life. As massive as it is, Central Park is hard to take in with one visit, unless you’ve got the help of some wheels. Central Park Bike Tours is one of the oldest-running and most comprehensive tours of Central Park available. Through its meandering roadways you’ll traverse this iconic landmark and see many of the sights that make Central Park great in a two-hour tour. There’s also tons of coupons available at the link above, so it won’t break the bank!